April is Autism Awareness Month, and we have some great resources to help you explore diversity and discuss inclusion with your students. 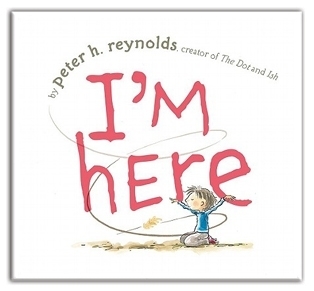 First, visit our I'm Here website to check out the animated film and book created by Peter H. Reynolds, FableVision Founder and NY Times best-selling author and illustrator. You can watch the free film online with your students today! Written about a boy on the autism spectrum, I'm Here features a strong anti-bullying message and reminds us that all children — and the friendships they make — can take flight in unexpected ways. Consider adding this powerful book to your library! Also, don't miss the FREE I'm Here Educator's Activity Guide, written by SARRC (The Southwest Autism Research & Resource Center) and designed by FableVision Learning. This guide comes with several detailed activities that will help you explore the themes of I'm Here with your students. 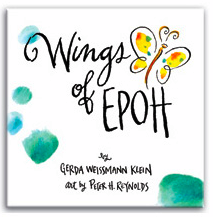 You might also consider integrating the book and film Wings of EPOH into your Autism Awareness activities. Wings of EPOH is the story of a young boy on the autism spectrum who goes on a journey with an unlikely friend, a butterfly named Epoh ("hope" spelled backward). It was written by acclaimed author and Holocaust survivor Gerda Weissmann Klein and lovingly illustrated by Peter H. Reynolds. There is a teacher's guide you can purchase as well. SARRC (Southwest Autism Research & Resource Center) Website: There is a great deal of helpful information there! You can learn more about SARRC’s program offerings and social skills curriculum (see the FRIEND program info at the bottom of the page). The Autism Society Website: Check out the "About Autism" and "Living With Autism" sections — they provide an enormous amount of information to help educate others about the autism spectrum. Autism Speaks offers wonderful resources, too. Visit the "What is Autism?" page for a wealth of information. The Family Services section also has fantastic resources, and there is a blog section that connects families with children on the autism spectrum with other families. Lastly, Autism Speaks recently partnered up with the Home Depot, which will be selling blue Defiant LED Lanterns and blue light bulbs through the end of April. A portion of each sale will go to Autism Speaks to fund research, advocacy, family services, and awareness for families struggling with this disorder. Easter Seals Metropolitan Chicago "maximizes independence and creates opportunities for people with disabilities and other special needs to live, learn, work and play in their communities by providing a lifespan of premier services." On their homepage, look under the What's New section — you'll spot some news articles about autism. You can also learn more about autism at their About Autism page. Let us know how you'll be honoring Autism Awareness Month with your students. We love hearing what creative educators are up to!